I bought this red dresser on Craigslist several months ago. 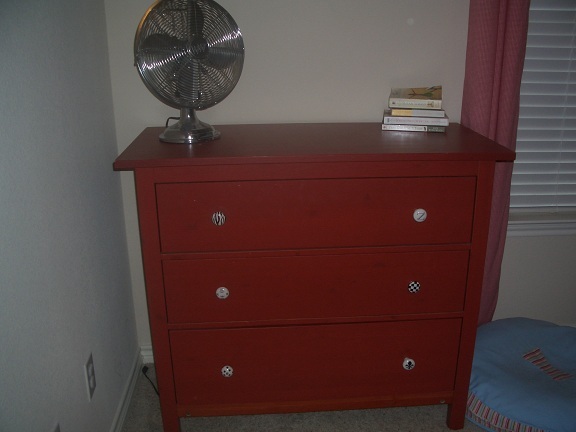 I just recently changed the hardware to give it just a bit more character. Each knob is different ... a zebra stripe, a letter Z, a clockface with Roman numerals, a checkered pattern, a polkadot pattern and a fleur-de-lis. 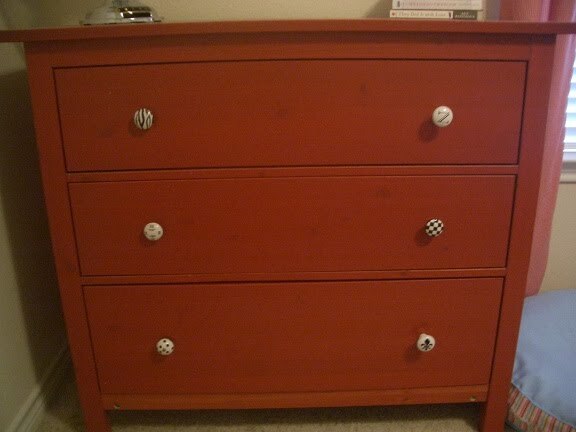 I found all the knobs at Hobby Lobby, and purchased them when they were 50% off. Our surname starts with a Z, which wasn't available. So I bought an N and turned it sideways. Can you tell?! 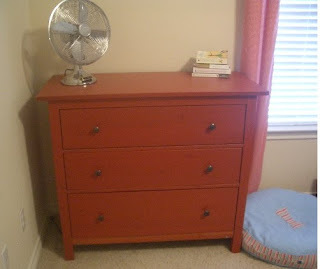 I'm still deciding whether or not I want to add a 1, 2 and 3 (using house numbers) on the drawers. What do you think? Linking up with Funky Junk Interiors Glitter Done projects. 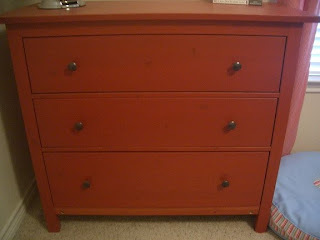 Since I bought this dresser six months ago, I've been toying with the idea of new knobs and/or numbers. I even bought some once and took them back 'cause I was on-the-fence. I finally decided one day last week to just Glitter Done!